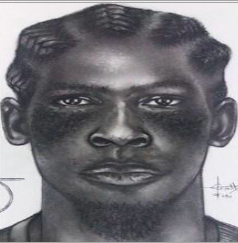 Nassau, Bahamas - Police are seeking the public’s assistance in locating a man who is wanted for questioning in connection with a homicide investigation. Jean is described as being about 5’6”-5’9” tall, slim build with dark brown complexion. Police are also appealing to members of the public for any information they may have that can assist in identifying and locating the man in this composite sketch, who is wanted for questioning in connection with a sexual assault investigation.